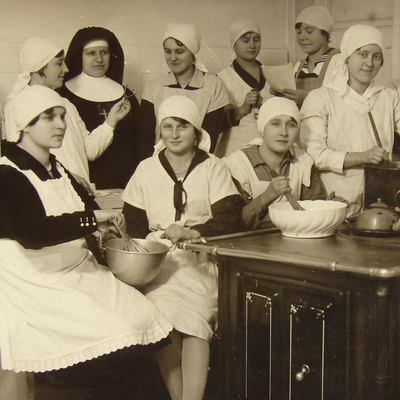 The Congregation of Servants of the Most Sacred Heart of Jesus (Congregatio Servularum Sacratissimi Cordis Jesu) popularly known as the Sacred Heart Sisters was founded on April 15, 1894 in Krakow by Fr. Józef Sebastian Pelczar (canonized in 2004) and Mother Klara Ludwika Szczesna (beatified in 2015). The source of the spiritual life of the Sisters and their works is the contemplation of God's love revealed in the Most Sacred Heart of Jesus. The external sign of the spirituality of the Congregation is the symbol of the wounded Heart of Jesus, which every Sister wears upon her scapular. The Sisters greet one another with the words: Glory be to the Most Sacred Heart of Jesus. Glory forever. Servants of the Heart of Jesus, your particular assignment must be to spread devotion to the Divine Heart ... It is not so ardent and universal as the Savior Himself desires nor as the Church his Spouse would like to see it. 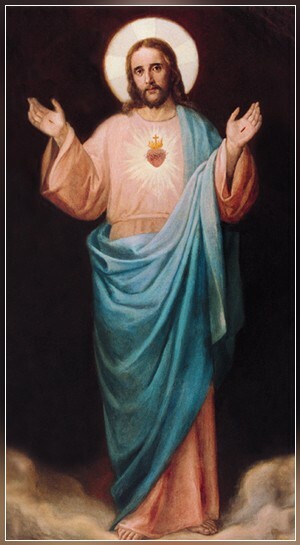 Therefore, let this be your concern, Servants of the Sacred Heart of Jesus, be eager to return unlimited love, to repay His immeasurable love, and to offer expiation to the Lord for the insults He receives from the blind and ungrateful; moreover, spread honor and love for the Heart of Jesus, according to your ability." The words of the Founder of the Sacred Heart religious family aptly capture the essence of the charism that our Sisters embrace. This worship of the Triune God in the mystery of the Divine Heart is expressed by building a close relationship with Jesus who is the source of all apostolic service. 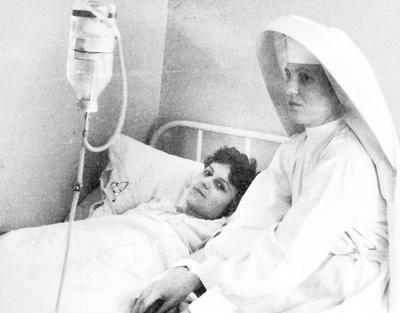 By union with Christ in our vows of chastity, poverty and obedience, the Sisters follow Him who is the "one thing that is needed" (cf Lk 10:42) and combine contemplation with service to the most needy. The love of the Heart of Jesus calls the Servants of the Most Sacred Heart of Jesus, just as this love called Blessed Mother Klara Szczęsna, to service on behalf of girls, children, youth, the sick and the poor, in Poland and abroad, also in missionary countries. Today we observed the 25th anniversary of the founding of our Congregation with celebrations in our church. At 8:00AM there was a solemn Mass with the intention of blessing the further growth of our Congregation for the greater glory of God, and for the good of our souls and those entrusted to our care. This day however had a somber side, for, although we wished not, our deceased Mother Klara Szczęsna came to our mind and there was a sorrow in our souls that she is no longer among us, above all, as such a good Mother of the Congregation, she who in the most difficult times, from the beginning, was Superior amidst her frail health, leading the Congregation with great dedication for 22 years to the end of her life, always with great love and understanding toward the Sisters. It was the main aim of her life – the care for the souls entrusted to her by God. Deeply religious, she prayed much during her life, therefore we now have the conviction, that being closer to the Lord Jesus, she incessantly prays for our Congregation. 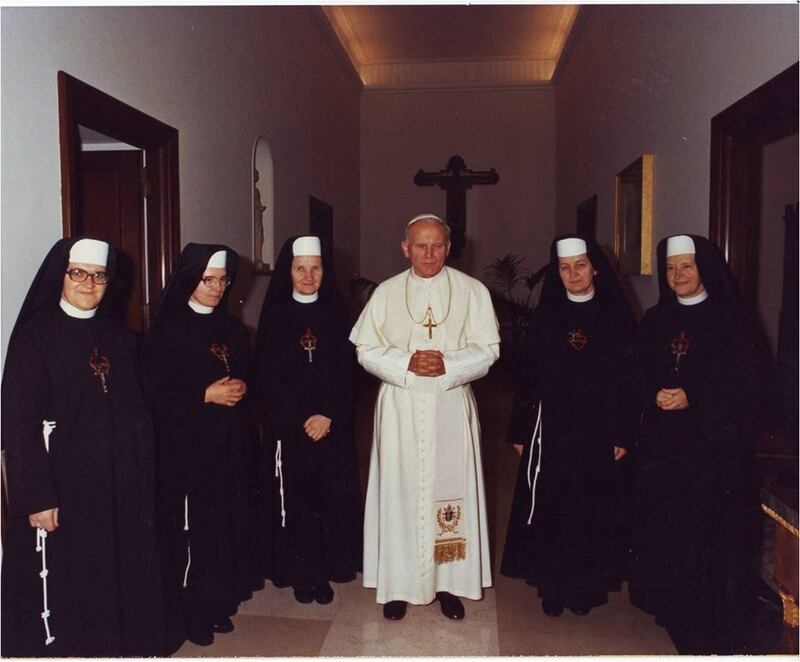 Our beloved Sisters in the Lord! O most dear Sisters, too moving and sublime is this moment for our hearts, our minds and our souls, that we would live it as any other ordinary day. Let us make a special place in our hearts for the space of three days which we dedicate to quiet, thereby gladdening our interior celebrations. Yes, beloved Sisters wherever we are, in whatever circumstances, let us celebrate a Triduum in our hearts, in our thoughts, and with our whole soul, let us immerse ourselves in the Heart of Jesus to sing our gratitude for this immeasurable grace - that He has allowed us to live to this blessed day, so significant in the history of our modest Congregation. Our Triduum will consist in three main thoughts, which will give us the text of our celebration. April 14, Friday, will be dedicated to the memory of our beloved deceased. 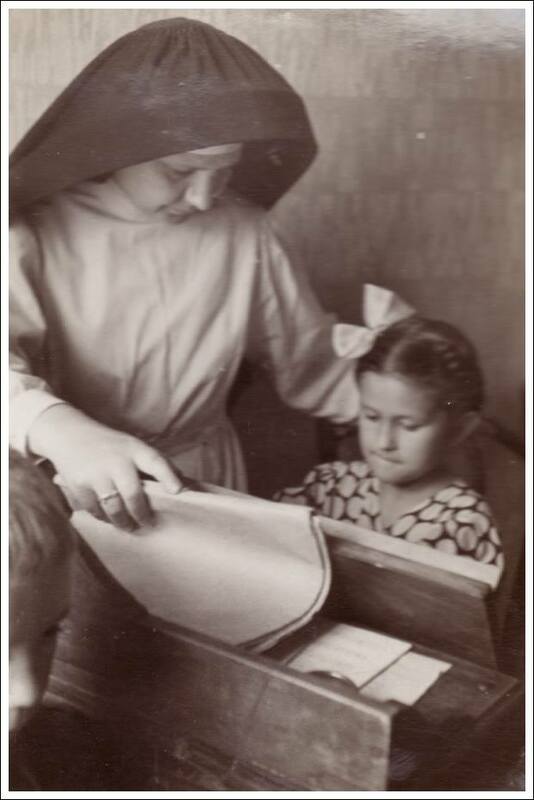 Whenever possible, in the filial houses, the Superiors will have the Holy Mass offered for the soul of our Father Founder, Mother Klara, M. Jadwiga and all our deceased Sisters. Whenever the Lord’s Supper is not possible, the Sisters will offer this intention in their prayer, works and sufferings and it will be a dear gift of loving and grateful hearts. On April 15, Saturday, may a solemn thanksgiving of Te Deum flow from our grateful hearts for the glory of the Most Sacred Heart of Jesus, who has called us into existence. Also on this day, whenever possible, may a Mass of Thanksgiving be offered. Finally, on April 16, Sunday, may there be a common spiritual feast for all of us, the living members of our Congregation. In the Holy Mass offered for this intention, let ask for the graces, blessing and continuous protection of the Divine Heart over us, especially in this difficult moment which because of the war may descend upon us. Here in Krakow, we will limit this Jubilee to our celebrations in church with a whole day of adoration of the Most Blessed Sacrament on IV/15 and a solemn devotion in our beloved church, which is our only comfort during our displacement. Monday IV/1, the day of the holy patron of our Reverend Canon Fr. Van Roy, we will offer a garland of humble prayers for the intention of such a good and our faithful spiritual Protector of the whole Congregation, who has been dedicating himself tirelessly for a number of years, giving retreats, conferences, lectures for the novices, and in whom is a valuable adviser in all the matters of the Congregation, and presently, our most reverend pastor of St. Ann’s parish. In the name of our whole Congregation, I am also expressing my most heartfelt greetings to our venerable and dear Sisters Jubilarian: Venerable Sr. Alojzia and Venerable Sr. Weronika, as our first deserving veterans who remained at the cradle of our young Congregation. On this occasion, I say in traditional Polish expression, “Bóg zapłać!” (May God reward you!) for so much hard work undertaken at the building and establishment of the Congregation, as well as to all the elderly Sisters, with the dearly beloved presiding Mother Vicaress Ignacja, who dedicated so much of her strength, so many sacrifices, that the initiated work would grow and develop for the glory of the Divine Heart. Finally, I express words of recognition and thanksgiving to all beloved Sisters each of whom are as an individual, beautiful stone in the whole structure, and have contributed to the growth of the Congregation. Dearest Sisters, may this our golden Jubilee stir us up to greater eagerness in the service of the Divine Heart, that we would merit the mercy of the Lord for our faithfulness, and may see the peace where our Congregation could grow and develop well, drawing many hosts of souls into our ranks for carrying to the whole world the glory of the Most Sacred Heart of Jesus, and could be the glory and adornment of our Holy Church. Remaining in the greatest joy together with you, I am sending you, our beloved Sisters, many warm words, and I entrust you to the further care of God asking for your remembrance in prayer, loving you, M. General Sr. Sydonia. “In the current year on IV 15, sixty years have passed since the founding of our Congregation. The date of founding is so closely united with the Church’s feast of the Protection of St. Joseph, which this year occurred on V 5. This our celebration was preceded by a Triduum, heartfelt in prayer. On the day of the Protection of St. Joseph, Monsignor Van Roy celebrated a solemn Holy Mass in our church. The anniversary was also commemorated in the afternoon with a festive presentation. The first part of this presentation was dedicated to St. Joseph, and the second part to the sixtieth anniversary of the Congregation. 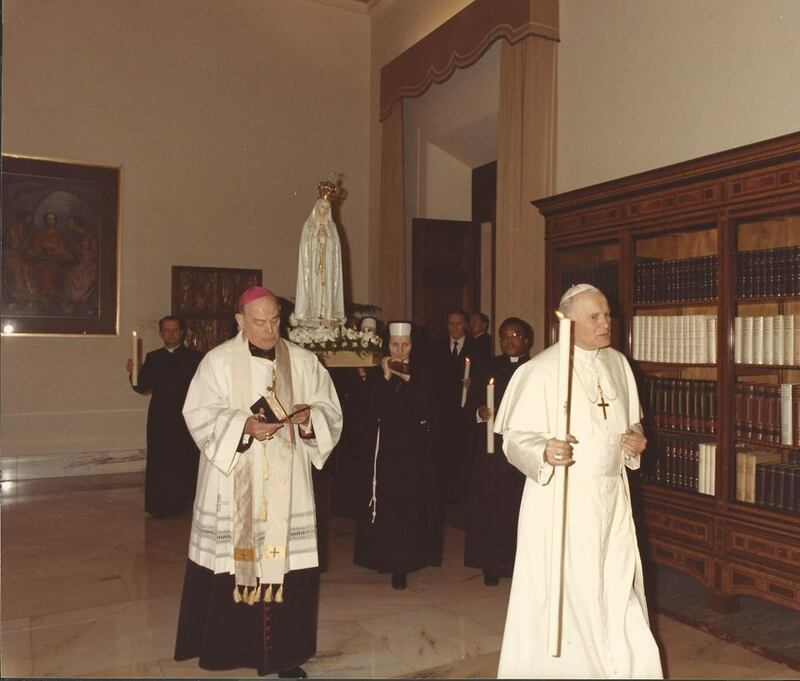 The presentation, in contrast to the one for the thirty years since the death of the Servant of God Bp. J. S. Pelczar, was organized only for the Sisters. The first part (images from the life of St. Joseph, a lecture “St. Joseph Patron and Protector of the Congregation”) enabled us to remind ourselves of the person of St. Joseph in the background of the Holy Scriptures, to lift up our gratefulness for his protection over our Congregation and his help received in often very difficult circumstances, and encouraged us to have devotion to St. Joseph to which for us our Father Founder and Mother Klara [Szczęsna] are examples. The second part attempted to present the conditions in which our Congregation was formed and to show that the founding by Bp Pelczar was motivated by the needs of the time. 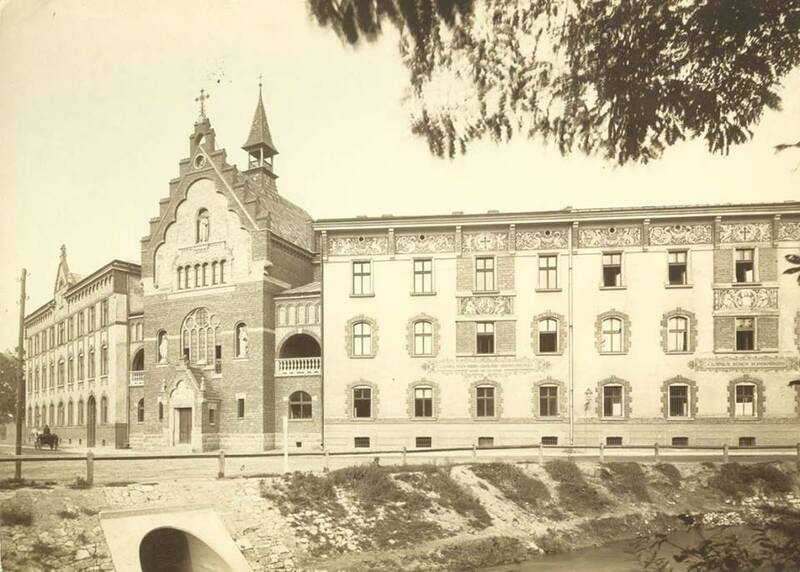 It included the works that the Congregation undertook since its beginnings in Poland as well as abroad. Songs and common recitations were the fulfillment of the second part. It was as though one warm expression of feelings, desire for sacrifice, dedication, a deep desire to serve God and others, request for martyrdom, courage, etc. It is not surprising; the small seed grew under the rays of the Divine Heart and under the caring eye of the Most Holy Mother and St. Joseph. Our First Mothers – as one cantata said – we can compare as sacrificial Hosts – they passed quietly, giving their strength and lives to the service of God and neighbors, weak in body but strong in spirit. They passed away but their spirit lives on among us. Sisters present at this event were sorry that the other Sisters at the different convents could not take part in such a nice and, for us, memorable celebration to be enlivened with the spirit of past years as well as enriched for the future with the new resource of strength for work on ourselves, to spread the glory of the Most Sacred Heart of Jesus and to bring help to our neighbors.